Investing in the next generation of Kinston Teens! Kinston Teens coordinates an annual Youth Leadership Summit for elementary and middle school students, grades 3 through 8, where we hope to spark dialogue on youth issues in our community, design community service projects, and develop leadership skills necessary to become productive citizens – locally and globally! This free, one-day summit focuses on developing students into 21st century leaders who will know that they have the ability to change our community, and change the world! Attendees enhance their skills through a series of workshops, group projects, empowerment messages from keynote speakers, leadership development exercises, and visits with local businesses in downtown Kinston. Save the date! Our 2017 Summer Youth Leadership Summit will be held on Saturday, July 29, 2017 at Northeast Elementary School. We're excited about this year's summit—our third summit—and can't wait to have lots of fun! What is your student's race or ethnicity? I, as parent or legal guardian of the applicant, acknowledge that all information provided in this application is true and correct. I agree to allow my child to participate in the Kinston Teens Youth Leadership Summit, and agree to release, indemnify, and hold harmless Kinston Teens, Inc., their staff, volunteers, and partners from any liability regarding my minor’s participation in this activity. I give permission for Kinston Teens to use photos including my child in publicity for this summit and for the Kinston Teens organization (brochures, social media, website, etc.). My signature certifies that child will abide by all rules regarding personal conduct and behavior and will fully participate in the summit. By submitting this form, I agree to the aforementioned terms. Thank you for applying for your child to attend the 2017 Kinston Teens Summer Youth Leadership Summit to be held on Saturday, July 29, 2017! Please expect a confirmation of your submission within 3 business days. Previous summits have been held: on Tuesday, July 21, 2015 at Southeast Elementary School, and on Saturday, July 23, 2016 at the Kinston Enterprise Center. 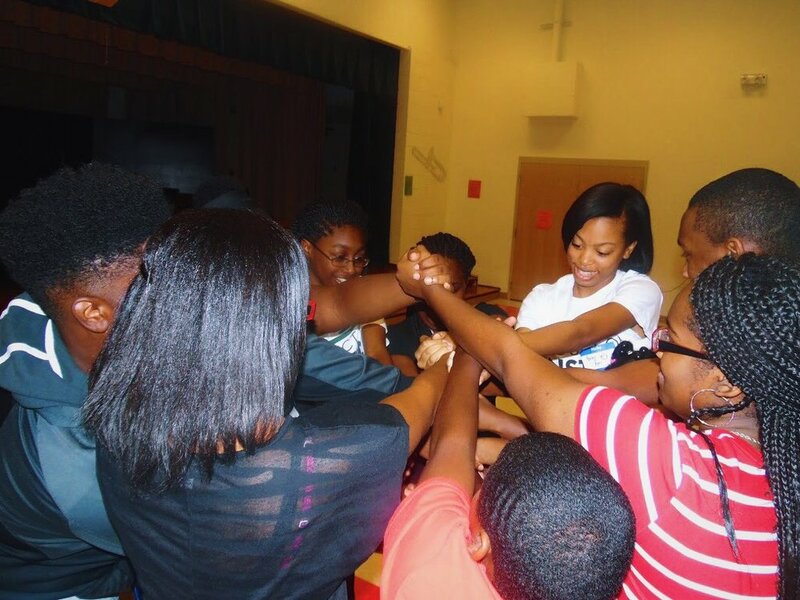 In 2015, 50 elementary and middle school attendees and 22 high school student volunteers were involved in this summit. Sponsors and presentations included: Bojangles/Tands, Inc., Chick-fil-A of Kinston, NC March of Dimes, Lenoir-Greene Partnership for Children, NC Center for Safer Schools, Self-Help Credit Union, Neuseway Nature Center, Woodmen Community Center, Teach for America ENC, PEACE Foundation, Eastpointe MCO, NC Department of Public Safety and Kinston Department of Public Safety. This summit was held on Tuesday, July 21, 2015 at Southeast Elementary School. In 2016, 55 elementary and middle school students and 21 high school student volunteers were impacted at the summit. This summit was held on Saturday, July 23 at the Kinston Enterprise Center. Sponsors and presentations included: Chick-fil-A of Kinston, Pride of Kinston, Brown’s Sweet Treats, Lenoir County Sheriff’s Office, Lenoir County GEAR Up, American Red Cross, Kinston-Lenoir NAACP, Lenoir County Department of Social Services, Boys to Kings Mentoring Alliance, smART Kinston, Kinston Police Department, NC March of Dimes, Lenoir Community College Small Business Center, and various community members who donated snacks, money and supplies.